Bharatvarsha has missing chapters of History since king Porus. But suddenly we get further historical clues here. Whatever is told in India about Porus and his war against Alexander has its root in Islamic version of History. Some historian resist to that version too. But suddenly we get clues to history that connect Porus / Prussia and Poland.Great raid on Macadonia and Greece connects Porus, ancient Puru tribe of India and Prussia as well as Poland. Let us look at celtic tribe record who took part in Great Raid. Great Raid on Macedonia and Greece ( 279 B.C. )is focal point of this research. We never realised that Great Raid is clue to Europe and Bharatvarsha. When new contrinent named America searched, their eyes only see “India” there. Bharatvarsha remains their obssestion throughout history. Now let us check celtic history keeping Great Raid into centre. History says that Brennus (or Brennos) (died 279 BC during Invasion) was one of the leaders of the army of Gallic invasion on the Balkans, defeated the assembled Greeks at Thermopylae, and is popularly reputed to have sacked and looted Delphi, although the ancient sources do not support this. In 280 BC a great army, comprising about 85,000 warriors, coming from Pannonia and split in three divisions, marched south in a great expedition. Variations on Brennus (including the Brennus who led the sack of Rome, and the Gaelic Brian, as in Brian Boru ) are found throughout the Celtic world as the title for a king, or general. The other two divisions were led by Cerethrius and by Bolgios, moving against the Thracians and Triballi, and against the Macedonians and Illyrians, respectively. 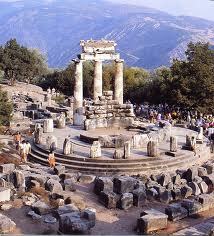 Means Brennus and his Prausi tribe , Cerethrius and Bolgios are central figures of Great Raid. Now let us unlock the mystery step by step. Let us begin with Brennus. King Porus (from Latin Porus ,from Sanskrit: Purushottama) was the King of Paurava, an ancient state within the territory of modern day Punjab located between the Jhelam and the Chenab (in Greek, the Hydaspes and the Acesines) rivers, and later of dominions extending to the Beas (in Greek, the Hyphasis). 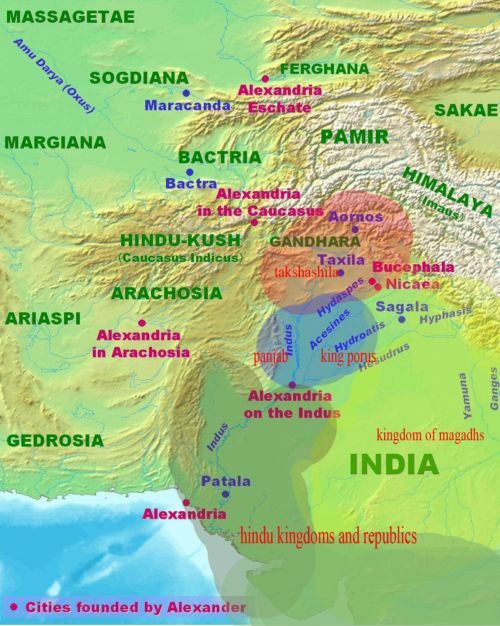 Porus fought Alexander the Great in the Battle of the Hydaspes River in 326 BC. Puru dynasty is generally understood to be that of the Pandavas. The Harikulas have been identified by some scholars as none other than the descendants of Yadu. The Purus were a tribe, or a confederation of tribes, mentioned many times in the Rigveda, formed around 3180 BCE. RV &.96.2 locates them at the banks of the Sarswati River. There were several factions of Purus, one being the Bhartas. Purus rallied many other tribes against King Sudas of the Bharata, but were defeated in the Battle of The Ten Kings (RV 7.18, etc.,). India’s famous name Bharat or Bharat-Varsh is actually named after a descendant of the Puru dynasty King Bharat (2860 BCE). There were two main Vedic cultures in ancient India. The first was a northern kingdom centered on the Sarasvati-Drishadvati river region dominated by the Purus and the Ikshvakus that produced the existent Veda texts that we have. The second was a southern culture along the coast of the Arabian Sea and into the Vindhya Mountains, dominated by the Turvashas and Yadus and extending into groups yet further south. These northern and southern groups vied for supremacy and influenced each other in various ways as the Vedas and Puranas indicate. The northern or Bharata culture ultimately prevailed, making India the land of Bharata or Bharatavarsha and its main ancient literary record the Vedas, though militarily the Yadus remained strong throughout history. One scholar, Buddha Prakash, Professor of History and of Ancient Indian History, Culture and Archaeology, Director of the Institute of Indic Studies (1964); in his book Political and Social Movement in Ancient Punjab states:The Purus settled between the Asikni and the Parusni, whence they launched their onslaught on the Bharats, and after the initial rebuff in the Dasrajan war, , soon regrouped and resumed their march on the Yamuna and the Sarswati and subsequently merged with the Bharatas, Some of their off-shoots lingered on in the Punjab and one of their scions played a notable part in the events of the time at Alexander’s invasion. They probably survived in the Punjab under the name of Puri, which is a sub-caste of the Khatris. Part of the battle of the ten kings was fought on the Parushni river, which according to Yaska (Nirukta 9.26) refers to the Iravati river (Ravi River) in the Punjab. Macdonell and Keith write that “the name [Parushni] is certainly that of the river later called Ravi (Iravati)”. It is clear now La Ten culture of Europe is synonym of ancient Dashrajan confederation of Bharatvarsha. If we dig deeper ,then King Yayati divided up his kingdom into five quarters (VP IV.10.1708). To Turvasha he gave the southeast (Bay of Bengal); to Druhya the west Gandhara; to Yadu the south (By Arabian sea); to Anu the north Punjab; and to Puru the center (Sarswati region) as the supreme king of Earth. Now look at European historical and geographical feed -back. Preussen is (Placename) the German name for Prussia.Preussen – a former kingdom in north-central Europe including present-day northern Germany and northern Poland; “in the 19th century Prussia led the economic and political unification of the German states”. Pressun Viron was tribe in Hindukush, who faught against Islam for 1000 years at very border of Bharatvarsha. Robertson mentions that tribe in his book – Kafirs of Hisdukush. The Old Prussians or Baltic Prussians ( German: Pruzzen or Prußen; Latin: Pruteni; Lativaian: Prasi; Lithuania: Prasai;Polish: Prusowie) were an ethnic group, Baltic tribes that inhabited Prussia, the lands of the southeastern Baltic Sea ( There is Baltistan in pak occupied Kashmir Area). in the area around the Vistula and Curonian Lagoons. They spoke a language now known as Old Prussian and followed pagan Prussian Mythology. The Duchy of Prussia or Ducal Prussia Latin: Ducatus Prussiae; Polish: Prusy ; Lithuanian: Presijos was a Duchy in the eastern part of Prussia from 1525–1701. It was the first Protestant (Lutheran) duchy with a dominant German-speaking population, as well as Polish and Litunian minorities. The Teutonic Order had rather superficially missioned the rural population of native descent within the state territory and thus only erected few churches There was little longing for Roman Catholicism, Baltic Prussian and Prussian Lithuanians peasants continued to practice pagan customs in some areas, for example adhering to beliefs in Perkunas(Perkunos or Indra), and continued their pagan rituals . Bishop George of Polentz had forbidden the widespread forms of pagan worship in 1524, and repeated the ban in 1540. Casimir III the Great (Polish: Kazimierz Wielki) (30 April 1310 – 5 November 1370), last King of Poland from the Piast dynasty (reigned 1333–1370). Casimir the Great built many new Castles, reformed the Polish Army and Polish civil and criminal law. He sanctioned a code of laws for Great and Lesser Poland, which gained for him the title of “the Polish Justinian” and founded the University of Karkow (Karakoram?) which is the oldest Polish university, although his death temporarily stalled the university’s development (which is why it is today called the “Jagiellonian” rather than “Casimirian” University). River Vistula or Vitasta (Jhelum) ? The Vistula Polish: Wis?a(viswa),German: Weichsel) is the longest and the most important river in Ploland, at 1,047 km (651 miles) in length. The watershed area of the Vistula is 194,424 km2 (75,068 sq mi), of which 168,699 km2 (65,135 sq mi) lies within Poland (splitting the country in half). The river Jhelum is called Vitastain the Rigveda and Hydaspes by the ancient Greeks. The Vitasta( also, Vetasta) is mentioned as one of the major rivers by the holy scriptures of the Indo-Aryans in the Rigveda. It has been speculated that the Vitasta must have been one of the seven rivers (sapta-sindhu) mentioned so many times in the Rigveda. The name survives in the Kashmiri name for this river as Vyeth. According to the major religious work Srimad Bhagawatam, the Vitasta is one of the many transcendental rivers flowing through the land of Bharata, or ancient India. he river Jhelum rises from a spring at Veriang situated at the foot of the Pir Panjal in the south-eastern part of the valley of Kashmir in India. The above facts confirm histrorically that King Porus never defeated but retaliated Macedonia with the help of Purus dwelling in Pannonia of ancient Europe. History connects Puru and Prausi tribe of Brennus. Wettins (Vatsa) also knew Prausi tribe of Germany. Puru dynasty is generally understood to be that of the Pandavas. But the Harikulas have been identified by some scholars as none other than the descendants of Yadu. We know that we have got missing historical thread after Aklexander’s invasion.As per second version King Porus belonged to Shursane of Mathura. If it is like that than there is Monthureux-sur-Saone at river bank Saone in France. Senone tribe invaded Rome( 390 B.C.) 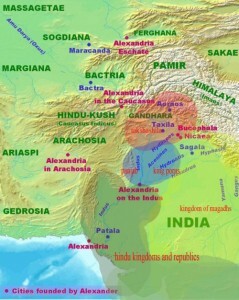 long before Alexander attacked Bharatvarsha. Means Shursane tribe of Mathura was present in Europe in form of Galic tribe in Rome , long before Alexander attacked Bhratvarsha. In both the way Porus remained Undefeated. We are heading towards most intrigue Historical Junction of word history. Rajan Saini (Sini), a character in the great Indian epic, the Mahabharata. Saini was the uncle of Vasudeva, the father of Sri Krishna. Maharaja Shoor Saini was born in the Mahabharat period. He ruled over ‘Sur Sen’, a kingdom in northwest India. According to ancient historical records, Mathura was the capital of this kingdom. His kingdom extended from Afghanistan to Uttarkashi and from Rajasthan to Southern India.So Krishna and Balram were called “Hari Kul Ish”( That is Hercules ? )Porus or Puru, the son of king Chandra Sen, was the last Shoor saini king. Europe history says that Senones, either of two ancient Celtic tribes, or perhaps two divisions of the same people, one living in Gaul, the other in Italy. The Gallic Senones lived in the area that includes the modern French départements of Seine-et-Marne, Loiret, and Yonne. They fought against Julius Caesar in 53–51 bc; in later times these Senones were included in Gallia Lugdunensis. Their chief town was Agendicum (later Senonus, whence Sens). The other group of Senones crossed the Alps into Italy, perhaps about 400 bc, and settled on the east coast between Ariminum (Rimini) and Ancona, driving out the Umbrians (There is Umbri district in Madhya Pradesh were Haihaya ruled) there. In 391 they invaded Etruria and besieged Clusium. Roman intervention, in reply to an appeal from Clusium, led to the Gauls’ capture of Rome in 390 B.C.. Livy and Diodorus Siculus, but not Polybius, record that the Senones led the Gauls that captured Rome. For the next century the Senones were engaged in hostilities with Rome. Monthureux-sur-Saone is a little village located north east of France. The town of Monthureux-sur-Saone is located in the department of Vosges of the french region Lorraine. The town of Monthureux-sur-Saone is located in the township of Monthureux-sur-Saone part of the district of Épinal. 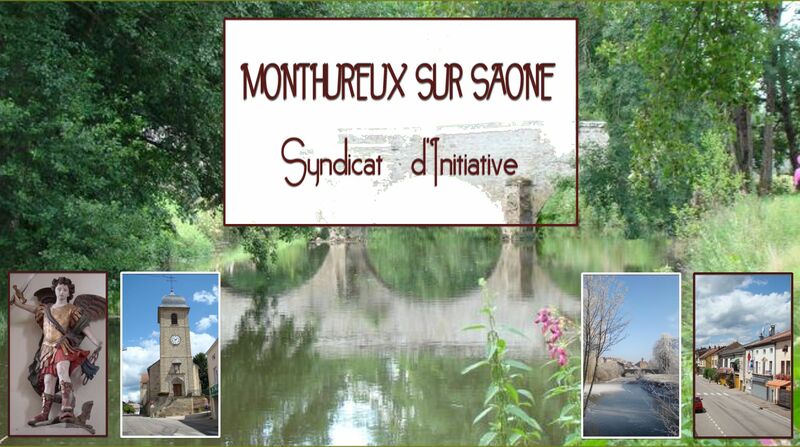 The name Monthureux comes from the Base Latin word “monasteriolum” meaning ‘little monastery’. By the fourteenth century the name had mutated to Monstreuil. The origins of the little town are uncertain. During the turbulent aftermath of the Gallo –Roman period, the site currently occupied by Monthureux-sur-Saône was probably abandoned to the forest. The name “Monasteriolum” (little monastery) only dates from the end of the ninth century. Subsequent spelling included “Monstreuil”, “Montreuil”, “Montreux” and “Montureux”. The “h” in the spelling of the modern name is believed to result from a clerical error by a transcriber in 1628 who wrote “Montheureux”. There is also Chalon-sur-Saône, town there. Now what more proof we need to estblish the land of Origin of Indo – european celtic tribes dweling in Europe? Picts were dwelling in special home design . 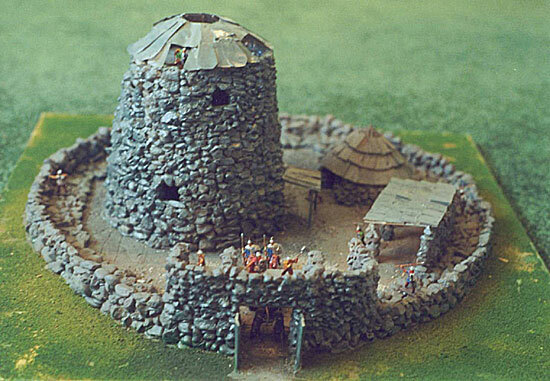 It was called broch . Gerald Massey mentions in his book, “Book of the Beginnings, Vol.1” that ,”Llogarian race of England were the postrity of Kymry, corresponding to the logari of Afghanistan as the race, the descendent of kamari and Afridi . Universal goddess “ked “ thought to be of ruler of Lloegrian tribes.”( page – 475).Surprisingly word Afridi derived from “Upairisaena” mountain range of Afghanistan . (Greek form of the word was Parapamisos). Logar is one of the 34 provinces of Afghanistan. The word of Logar is built from two Pashto words: Loy and Ghar . It is located in the eastern zone, southeast of Kabul, and the geography of the province centers on the large Logar River which enters the province through the west and leaves to the north. Its capital is Pul – i- Alam. We can trace Anu -son of Yayati in sumerian culture and history.It shows that sons of Yayati ruled and developed Sumerian and Babylonian culture. It shows that after developing “Meru culture” of tibet in Bharatvarsha, they developed “Sumeru culture” in middle east . The same people develop “Ameru culture” in America. Yes ,America derives its name from root word “Ameru”.These classical people maintain rythem in their name pattern too. It is Irony of fate that we can not recognise them still. In Sumerian Mythology Anu (also An = sky, heaven)) was a sky-god, the God of Heaven, lord of constellations, king of gods, Spirit and demons, and dwelt in the highest heavenly regions. His attribute was the royal Tiara, most times decorated with two pairs of Bull Horns. The following link to the book “The origin of pagan idolatry ascertained from historical testimony …, Volume 3” By George Stanley Faber (P-30) will give you further detail about Logarians and their Goddess “Ked” or “Ceridwen “.The book also give detail about Mount Meru. If Picts and Pakhtun can reach there , why Puruvanshis can not? chapter -4 ends here. new chapter will be posted soon.